Jamaican sound system legend Gladdy Wax joins me and Mistah Brown at Chick-A-Boom! this Friday. Last time I DJ'd alongside Gladdy was at Right On! 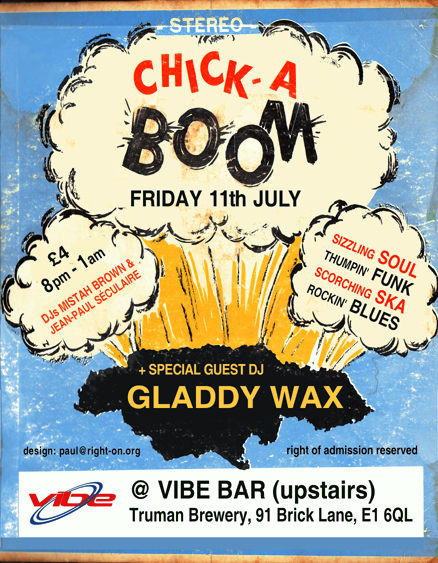 in September 2006, so I'm thrilled to have him back on the decks with me for some soul, funk, rhythm & blues and of course not forgetting the scorching ska!